The surgical attire guideline was extensively revised by the Association of periOperative Registered Nurses (AORN) and has received much attention since publication in 2015. The most controversial point was the requirement to cover all hair on the head and ears, which was based on a literature review. The American College of Surgeons (ACS) took issue with the requirement to cover all head hair and, in 2016, published a position statement declaring: “The skullcap is symbolic of the surgical profession”. The ACS statement also contained surgical attire recommendations. A few months later, AORN published a scathing review of the ACS surgical attire recommendations. A study conducted in 2016 compared the occurrence of surgical site infections at two teaching hospitals before and after implementation of the AORN surgical attire guidelines. The hospital with the more rigorous surgical attire policy experienced an increase in surgical site infections during this study. Importantly, the article wasn’t clear if the same types of surgeries were included in all phases of the study. If the before and after phases didn’t follow similar surgeries, this factor alone may have contributed to the elevated surgical site infection occurrence. In 2017, AORN stated that the guidelines recommended covering all head and facial hair but did not prescribe the method to accomplish it. Put simply, AORN guidelines didn’t contain the words “ban the skull cap”. A 2017 study looked at microbial and particulate contamination during mock surgeries when personnel wore disposable bouffant or skull caps or cloth skull caps. This study concluded that wearing disposable bouffant caps resulted in higher microbial counts at the sterile field. Notably, this study was not conducted during actual surgeries so it is possible that a difference in participant behavior could have influenced the results. The Head Covering Battle Between AORN and ACS Rages on! The following year (2018) saw a flurry of published studies disputing the validity of the recommendation to cover all head and facial hair. One study compared the effect of bouffant caps and skull caps to the incidence of surgical site infection among patients undergoing elective surgical procedures. The authors concluded that the type of hair covering didn’t impact surgical site infections. A similar conclusion was reached by researchers of the Americas Hernia Society Quality Collaborative who conducted a survey among member surgeons. However, the authors didn’t stop at the conclusion of the cited study but instead proposed that key stakeholders meet to develop a unified guideline. Interestingly, in early 2018, the Association of periOperative Registered Nurses (AORN), the American College of Surgeons (ACS), the American Society of Anesthesiologists (ASA), the Association for Professionals in Infection Control and Epidemiology (APIC), the Association of Surgical Technologists (AST), the Council on Surgical and Perioperative Safety (CSPS); and The Joint Commission (TJC) met to discuss surgical attire guidelines and head covering in particular. Unfortunately, neither the Infectious Diseases Society of America (IDSA) nor the Society for Healthcare Epidemiology of America (SHEA) participated in the meeting, which may have added a different perspective. The outcome was an announcement by AORN that due to a lack of credible evidence, the surgical attire guideline would be revised and published in 2019. The draft guideline, which is open for public comment until late February, currently recommends covering the scalp, hair and beards. However, there isn’t any recommendation for the type of head or beard covering. The AORN draft guideline no longer recommends covering all head hair and ears. Instead, facilities are advised to determine the best head covering for their facility. We will have to wait until the finalized guidelines are published in the Spring to see what changes, if any, are made to the draft guidelines. Accrediting agencies and the Centers for Medicare and Medicaid Services (CMS) require facilities to follow national guidelines. In this light, the AORN guidelines remain an important contributor to practice and also surveyor facility assessments. But wait! Don’t change policy and practice yet! Even if the final AORN surgical attire guideline omits the requirement to cover all head hair and ears, CMS may not see things the same way. The CMS Hospital Infection Control Worksheet states: “Surgical attire (e.g., scrubs) and surgical caps/hoods covering all head and facial hair are worn by all personnel and visitors in semi-restricted and restricted areas.” A negative finding in this area will result in a citation under 42 CFR 482.42(a) (Tag A-0749). It is important to note that the CMS ASC Infection Control Worksheet doesn’t contain similar language since the worksheet doesn’t contain a “Surgical Procedures” section. Additionally, the Surgical Services portion of the State Operations Manual doesn’t address surgical attire. Hospitals should be aware that this requirement will be used by CMS and accrediting agencies surveying to CMS standards. Since CMS hasn’t changed the infection control standards for quite some time, it is not likely the CMS requirement to cover all hair will go away any time soon. 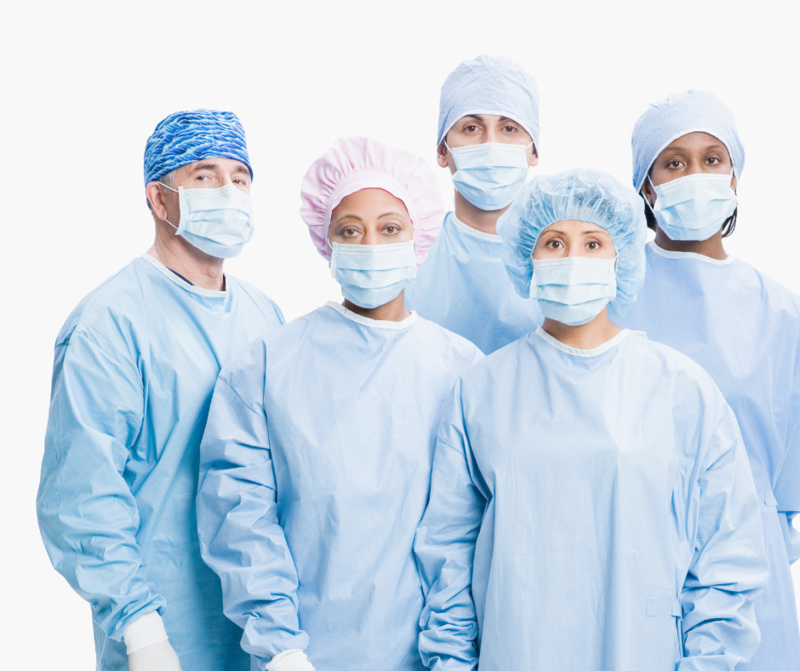 While this post has focused on the controversial surgical cap debate, the draft revised surgical attire guidelines contain additional surgical attire changes. Can’t wait for the publication of the final guideline this Spring!